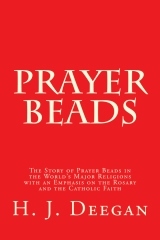 A history of the use of prayer beads in some of the religions throughout the world. Also provided are some scriptural basis for some common prayers used in praying with prayer beads within Catholicism. Many chaplets, aka devotionals, are provided in this ebook as well. It's not just the Rosary chaplet where prayer beads are used!